The eighteenth century: origins of the British MuseumThe origins of the British Museum lie in the will of the physician, naturalist and collector, Sir Hans Sloane (1660–1753). The nineteenth century: expansion and discoveryIn the early part of the nineteenth century there were a number of high profile acquisitions. These included the Rosetta Stone (1802), theTownley collection of classical sculpture (1805), and the Parthenon sculptures (1816). By 1857, both the quadrangular building and the round Reading Roomhad been constructed. The twentieth century: providing a public serviceThe twentieth century saw a great expansion in public services. 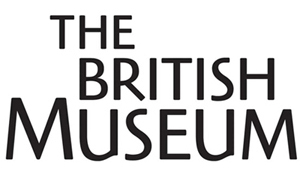 The first summary guide to the Museum was published in 1903 and the first guide lecturer was appointed in 1911. Founding collectionThe British Museum's founding collection was the 71,000 books, antiquities and natural specimens bequeathed to the nation by Sir Hans Sloane in 1753. ​In 1772, the first major collection of classical antiquities was added to the Museum when the Greek vase collection belonging to Sir William Hamilton was acquired. Early to mid nineteenth century: classical antiquitiesInterest in the classical antiquities determined how the collection developed during the beginning of the nineteenth century. Throughout the century, more classical antiquities became part of the collection including sculptures from the Temple of Apollo at Bassae(1815), the Parthenon sculptures (1816), the Nereid monument(1842) and the remains of the Mausoleum of Halikarnassos (1856–7). Late nineteenth century: British and medieval antiquitiesDuring the latter half of the nineteenth century, there was a shift in the focus of acquisitions. Objects Franks was responsible for acquiring included a uniquewhalebone casket from Northumbria (1867), the Royal Gold Cup(1892) and 10,000 items from the Christy collection of prehistory and ethnography, including a collection of Mexican turquoise masks. Twentieth century: developing today's collectionThe twentieth century saw the reorganisation of the Museum’s collection and the opening of a number of new galleries in which to display the collection to visitors. Collecting for the futureThe Museum is committed to sustaining and improving the breadth of its collection for the benefit of people today and in the future. Aided by gifts and funding from public bodies and private individuals the Museum is able to continue to build its collection.